In celebration of Canada’s 150th birthday, the Government of Canada has provided each Member of Parliament with 20 unique commemorative pins to recognize outstanding Canadians in their local ridings. During the month of November, I encouraged North Vancouverites to submit names of residents deserving of recognition for the outstanding contributions they make to our community. These community members could be of any age and nominated based on their exemplary commitment to volunteerism, an act of bravery or their everyday thoughtfulness. Not surprisingly, we received many exceptional nominations – each of which highlighted ways individuals have been made making our community a wonderful place to live. Once folks had been nominated, I asked a panel to evaluate each and every nomination. Ultimately, the number of submissions cast for each nominee as well as an assessment of the quality of the contributions made to North Vancouver helped us to determine which nominees would be awarded one of the 20 commemorative Canada 150 pins. 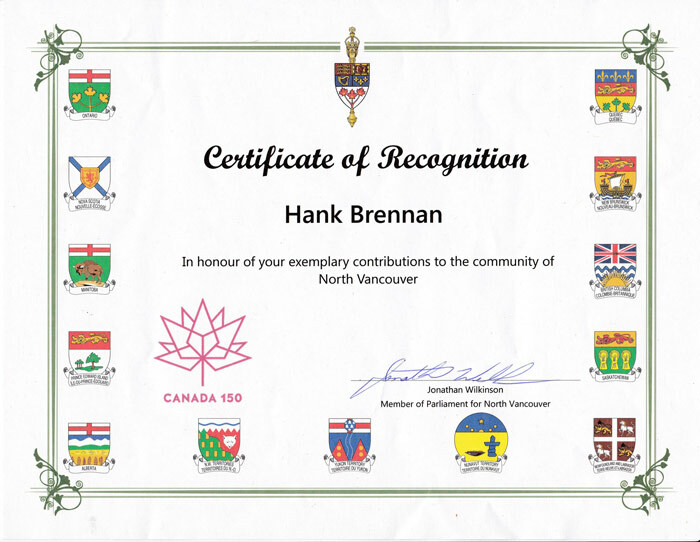 I am very pleased to inform you that you have been selected to receive one of the commemorative Canada 150 pins in recognition of your hard work and dedication to North Vancouver. 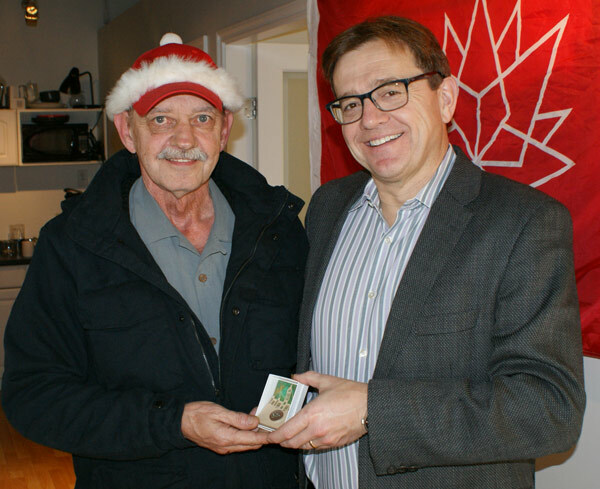 Your hard work and devotion of time to the creation of “Hank’s Christmas Glitter”, as well as your work with Harvest Project, Lookout Emergency Aid Society and the Servants of Hope Society have been recognized by your fellow community members. 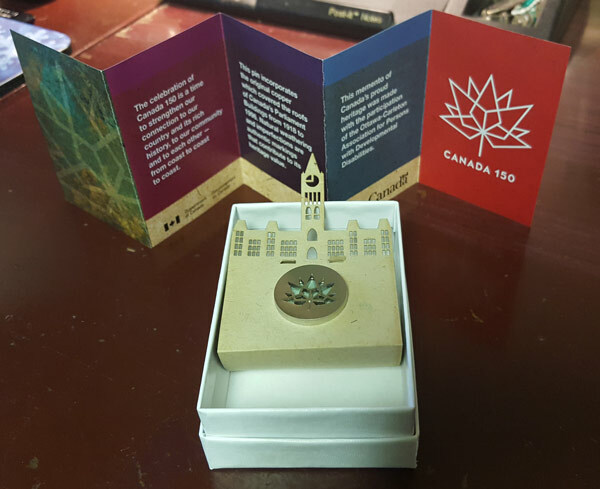 The limited edition pin that is enclosed was made from the old copper roof of the Parliament buildings in Ottawa. North Vancouver is a better place as a result of the work of folks like you. Your dedication to improving our community has made a lasting impression. Again, I congratulate you on this outstanding achievement. I would be very pleased to have a chance to meet you to discuss this award. Please contact my assistant Sarah at: Jonathan.Wilkinson.C1B@parl.gc.ca at your convenience should you be interested in arranging a time to meet.